If you are looking for a big roomy entertainer with a spacious interior then this 1994 SeaRay Sundancer ticks all of the boxes. The deck space is enormous with plenty of seating and the elevated helm position provides excellent vision. The interior has two separate cabins with double beds and a convertible dinette gives you another double if required. Recent works have been carried out to ensure the engineering is in great shape and the genset has been replaced with a new Ouma generator. All new covers and clears fitted in April 2019 and with the expensive engineering side having been taken care of by the current owner, this vessel is great value, big volume cruising. Contact Adam Scahill on 0419847439 to arrange an inspection. Functional with plenty of storage. E Power Battery Charger, Raymarine GPS/Radar and Echo sounder, Ritchie Compass, Hydraulic Steering. 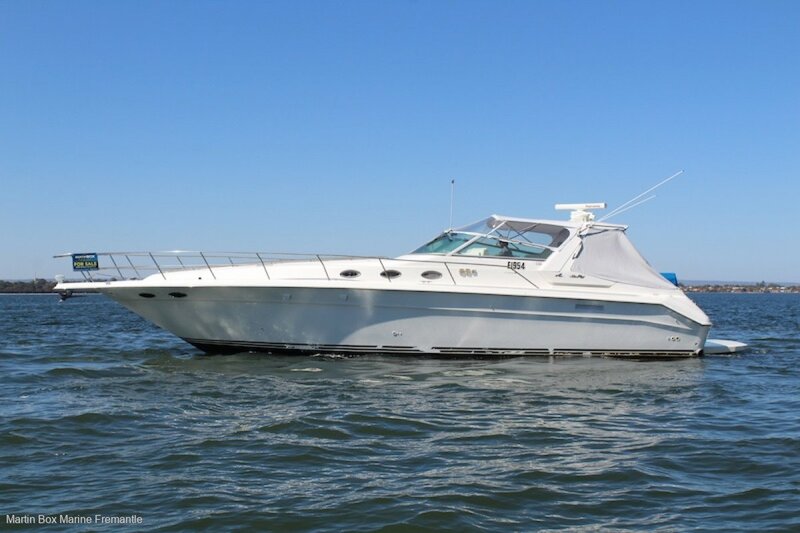 If you are looking for a big roomy entertainer with a spacious interior then this 1994 SeaRay Sundancer ticks all of the boxes.